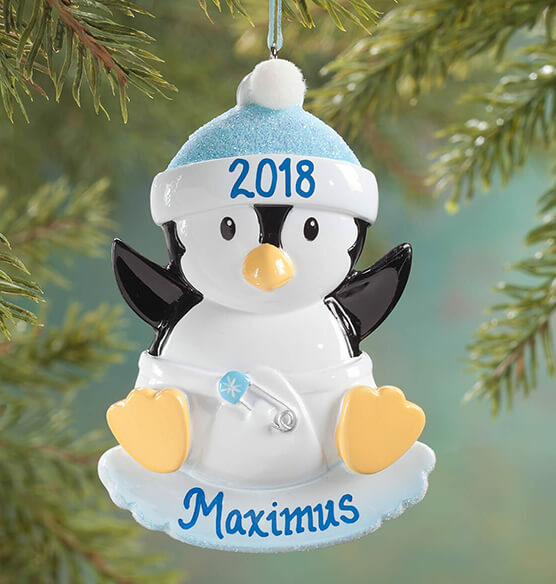 Accessorized in pink or blue, our personalized baby penguin ornament celebrates someone new ... personalized for your own diaper-wearing darling! 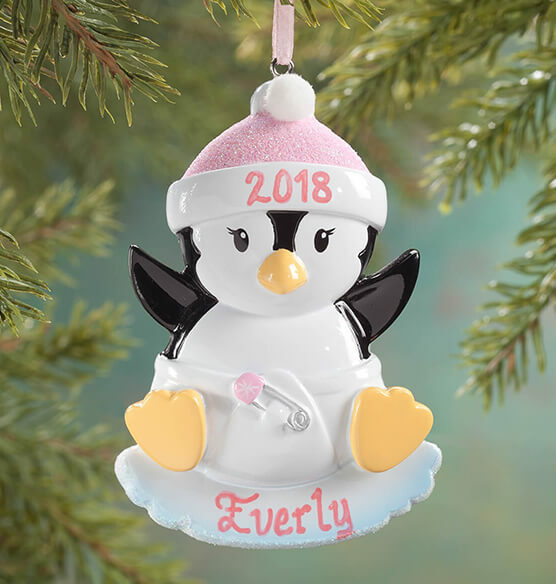 We'll add Baby's name and special year in pink or blue to match our penguin's cute diaper pin, sparkling tassled cap and satin hanging ribbon. Specify color: pink or blue. Specify name; limit 1 line, 8 letters/spaces. Specify year; limit 4 characters. Resin. Christmas ornament measures 4 1/4" high. It's the perfect for baby's first Christmas! Although this shows a blue penguin. I ordered a pink one for my new niece due in November. Her name will be Lily, so I wanted to be the first one to get her a christmas ornament with her name on it. I was very pleased when it arrived. It is more adorable than it looked. I am very pleased . I do like ordering from Miles Kimball. quality items.